Google and Facebook are two great platforms for advertising. Both are inexp ensive compared to traditional advertising, allow for better targeting and enable you to measure results on a daily basis. So what are the differences between them? When should you use one platform and when the other? Is one better than the other? When should you consider using Google advertising? When your potential customers go to Google (or any other search engine), they actively conduct a search for your product or service (or a product or service like yours). These people have already given thought to using that product or service, and, in many cases, these potential customers might be ready for the buying process – all you need to do is convince them that you provide the best solution. Google advertising, therefore, is great for capturing active customers who have already decided they want to search for more information regarding your product or service. When you want to achieve a direct sale, or direct traffic to your website, Google provides an excellent solution. It sounds so good. What are the disadvantages? Google advertising is a great tool, and when you know how to use it, it can increase your sales dramatically. However, compared to other digital platforms, it can be expensive. The cost for Google advertising depends on competition for the chosen keywords. In some cases, the price per click can be very high. In addition, you might achieve quick results, and your sales might increase dramatically, but what about the long run? If you want to preserve this success for the long run, you have to keep paying Google. When should you consider using Facebook advertising? 1. Building relationships with your customers – you can lead them to a landing page to capture their details, so that you can start sending them newsletters or other promotional materials. 2. Increasing awareness for your product or service – the exposure on Facebook is huge. For a few dollars per a day, you can reach hundreds and even thousands of customers (depending on your target audience). 3. Offering a limited promotion – although this is a direct sale, if you have a special offer for your customers, Facebook advertising is worth a shot. As mentioned before, Facebook ads are like newspaper ads. In some cases, the customers wanted to buy this product or service already, but just needed an incentive. Is Facebook advertising effective for any product or service? Since advertising on Facebook is for “passive customers”, you have to target your ad using as many parameters as possible to reach only your target audience and save money on irrelevant visitors. Some products demand such a narrow segmentation that doing so using Facebook advertising would be difficult. 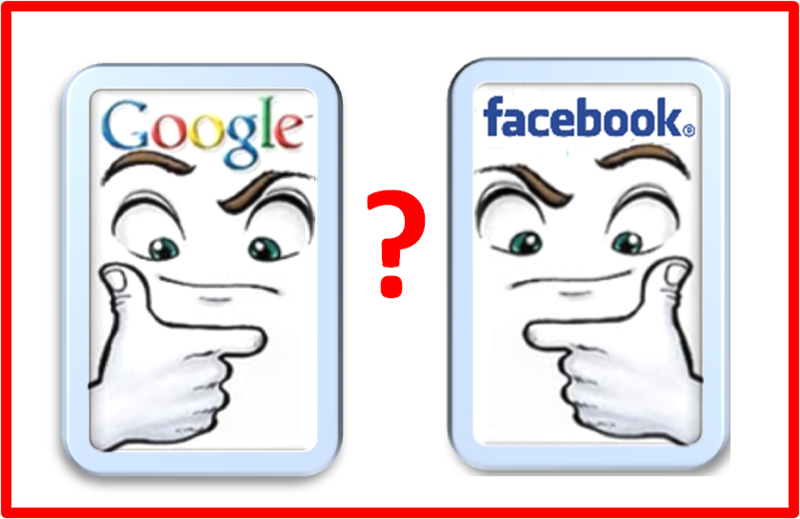 Google and Facebook are different platforms with different uses. Before using either of them, check your goals first – if you wish to capture customers who are actively looking for a product or service like yours, then you should use Google. But if the goal is to increase awareness or establish a relationship with potential customers, a platform like Facebook would probably work better.